97.1 percent of all patients had no biochemical progression, i.e., no increases in PSA levels to > 2 ng/ml higher that the lowest (nadir) value achieved. 97. 3 percent of the low-risk patients had no biochemical progression (compared to an historical value of 92.3 percent for patients treated with IMRT). 97.1 percent of the intermediate-risk patients had no biochemical progression (compared to an historical value of 91.3 percent for patiensts treated with IMRT). 100 percent of patients with favorable intermediate-risk disease had no biochemical progression. 93.1 percent of patients with unfavorable intermediate-risk disease had no biochemical progression. These are certainly excellent outcomes, and are in line with or better than retrospective SBRT studies that have previously been reported. So far, the longest running SBRT single institution study has been reported by Alan Katz (see this link). I’ve heard that a 10-year update to Katz’s study is currently in the works. That will be as long and larger than the longest running IMRT trial. SBRT is about half the cost of IMRT, and — at only five treatment fractions — is certainly a lot less bothersome for patients. It has excellent outcomes even without adjuvant ADT in unfavorable intermediate-risk patients. With large long-term studies now available, it is increasingly difficult to understand why some insurance companies still don’t cover this form of therapy. Is this CyberKnife? If so I thought it was covered? (1) Although the CyberKnife system was initially one of the most common tools used to deliver SBRT, it is far from being the only technology that can be used to do this today. If Allen Edel has seen the full text of this paper, he may be able to tell us whether this was the technology used by all the centers participating in this particular study. (2) With regard to whether or not CyberKnife therapy or SBRT delivered using other forms of technology are “covered”, that is a decision made by specific insurance providers. It is my understanding that while some insurers do cover SBRT (regardless of the type of technology that is used to deliver this type of radiation therapy), others still do not. Again, I think Allen Edel may be able to clarify this for you. The full text explains that all 21 institutions used Accuray’s CyberKnife platform. Linac platforms capable of delivering SBRT are also available from Varian, Elekta, and a few others. While most insurance (as well as Medicare) covers SBRT for prostate radiation, not all do. I heard of one case this year where the radiation oncologist got around the insurance company by delivering it in 6 treatments instead of 5 – ridiculous, eh? In my opinion: Unfortunately this trial fails to give any statistics on ED or other sexual dysfunctions. Gleason score 4+3 is now considered “unfavorable” particularly at 7 to 10 years. Results are given at 5 years. 172/309 patients had low-risk prostate cancer and may or may not have needed treatment. I entirely agree with you that it would have been helpful if this study had told us about rates of ED among these patients (both prior to treatment and subsequent to treatment). It would also have been helpful to know how many of these men might have been advised that some form of monitoring would be an entirely appropriate form of care but still insisted on being treated (a quite common occurrence even today). — They are commonly based only on what patients report (especially prior to any treatment), and there is considerable evidence to suggest that men are less than entirely honest about this for some odd reason, especially prior to any treatment! — When men are older at the time of their treatment (say 65 or more), loss of erectile function at 5+ years post-treatment can as easily be (at least partially) age-related as it is related to treatment for their prostate cancer … and it is certainly easier for the patient to “blame” the prostate cancer treatment than to accept that he is just getting older. In saying this, let me be very clear that I am not, in any way, seeking to imply that treatment for prostate cancer (with CyberKnife radiation therapy or any other form of treatment) does not lead to ED. We all know that it does. What is a great deal less clear, however, is the accuracy of the available data — especially for some forms of treatment like radiation therapy and HIFU. We are going through a serious transition period in the management of prostate cancer. It is going to take time for the transition to take hold and for us to ensure that we are transitioning to a “best case” scenario for most patiensts. 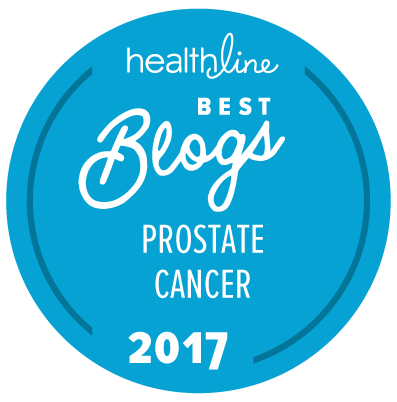 On the one hand, we are seeing many more men appropriately elect some form of monitoring or “observation” when they are diagnosed with low-risk and even favorable intermediate-risk prostate cancer. However, I am also concerned that some of these men are being “under-monitored” (i.e., no monitored closely enough) while others are being “over-monitored” (i.e., annual biopsies when annual MRI scans might be sufficient). — Many men never see a doctor at all if they can avoid it, and some of those men with prostate cancer don’t get diagnosed until it is much too late. — Even when they do go and see a doctor for some reason, many men will still simply not talk about anything that may be affecting their urogenital biology because they find it too embarrassing or because they simply don’t kno how to bring it up at all. — Many doctors (and male ones in particular) also have a problem talking about urogenital problems, inclusive of the risk for ED and related complications associated with the treatment of prostate cancer. I have stated this often before, but frankly I believe this to be a failure of both appropriate parenting and a failure of education systems to ensure that young males (in particular) understand enough about disorders they are at risk for over time and what they need to do to optimize their health over time nd that it is entirely appropriate to be able to talk about some of this (at least with one’s doctors). While they did not report patient-reported outcomes for erectile function in this study, other studies have. We looked at erectile function after SBRT a few months ago (see here).